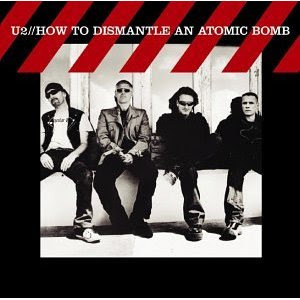 HTDAAB was a great follow up to U2's 'comeback' album, All That You Can't Leave Behind. Featuring the big hits of Vertigo and City of Blinding Lights, the album was another turn at the 'classic U2 sound' albeit with a slightly more rocky slant than it's predecessor. Winning 9 Grammy Awards and selling 9 million copies, U2's work won favour with fans and critics. Lyrically the album has been said to be a consideration of world at the crossroads of its existence. Love and war, peace and harmony, and approaching death are strong lyrical themes. In case you where wondering how one does dismantle and atomic bomb, the answer is 'with love' as refered to in the song Fast Cars.